The world’s largest tropical wetland notched an important win today with new commitments that require sustainable development of the Pantanal, a 42-million-acre wetland that touches three countries. It ensures that all future development of this essential landscape is balanced with the needs of wildlife and people. 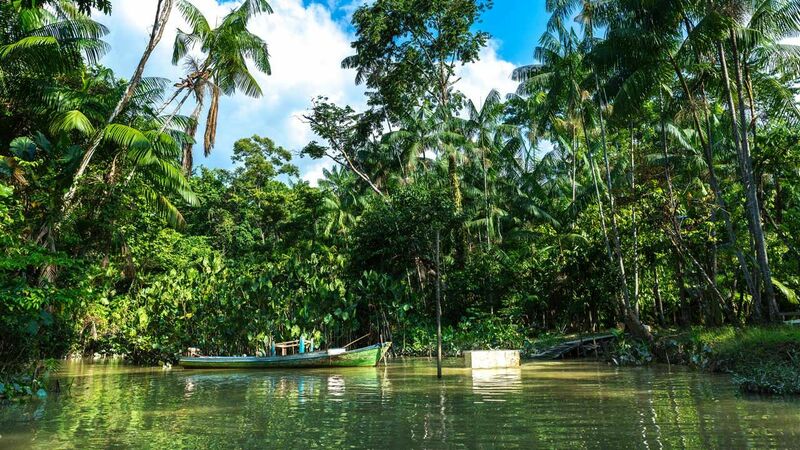 Bolivia, Brazil, and Paraguay signed the landmark declaration that calls for sustainable development of the Pantanal. The decision follows years of collaboration among the governments that are securing a prosperous future for one of the most biologically rich ecosystems on the planet. WWF has assisted this effort and applauds this landmark move. The Pantanal is a surprisingly well-kept secret in comparison to the Amazon, despite its massive size and the more than 4,700 animal and plant species that live within it. Millions of people living downstream rely on its crucial natural resources and benefits, including natural flood control, groundwater recharge, river flow for boats to navigate, and absorption of carbon. A study conducted by Brazil's Agricultural Research Corporation concluded that these natural benefits are valued at $112 billion a year. All of the Pantanal’s natural wealth could be highly threatened if it is not developed in a sustainable and environmentally friendly manner. Harmful land uses in the Pantanal have already contributed to the loss of more than 12% of the region’s forest cover. And scientists predict that the Pantanal’s native vegetation will disappear by 2050 if we don’t act now to combat this trend. Inadequate development planning by any of the three countries could damage not only the region's lucrative economy and the well-being of its inhabitants, but also the stability of the world’s fifth-largest basin, the Rio de la Plata, in which the Pantanal is located. By signing the Declaration for the Conservation, Integrated and Sustainable Development of the Pantanal, Brazil, Bolivia, and Paraguay recognize their shared responsibility to steward this vital resource. Together they’re ensuring that development of this beautiful and essential wetland is balanced with the needs of the environment and people. News Source: World Wide Life.